Montreal has joined Calgary, Waterloo, Ont. and Toronto as the fourth Canadian city to be named the Intelligent Community of the Year, the Intelligent Community Forum announced on Wednesday. Announced in the previous winner city of Columbus, Ohio, Montreal captured the award after entering a bid in the international competition for only the second time. It beat out fellow Canadian city Winnipeg and five other cities shortlisted for the award in February. Montreal was awarded based on the work it’s been doing for its “Smart City” plan, first enacted in 2014. The plan pushed a build-out of the city’s wired and wireless broadband infrastructure. It also aimed to make city services more efficient with technology. Rather, the Smart City plan was about creating transparency in city services and finding ways to actively collaborate with citizens. It did involve opening up a lot of the city’s data – from public safety to city contracting and a strategic review of the technology systems used by the city as well. If there was one “silver bullet” project that demonstrates how Montreal is combining public collaboration with technology-aided problem solving, it’s Info Neige, Chitillian says. The current online snow removal information platform came about after the city led co-design session with citizens. Montrealers were frustrated that their cars were being towed for snow removal, and afterwards were difficult to locate. Also, residents didn’t know when snow would be cleared from their own area or if snow was cleared in another area of the city they planned to travel to. To address the problem, the city hosted a challenge and received bids for snow removal from private companies. The winning company introduced a platform that received data from snow removal equipment in real time, showing progress via an online map. Also, GPS tags were placed on cars that had to be towed and residents could find out the location of their vehicle by typing in their licence plate to an online form. ICF co-founder Lou Zacharilla also pointed to the arts and entertainment centre in Montreal known as Quartier des spectacles, saying it was an example of broadband and ICT contributing to an expression of culture that was both economic and human. The square-kilometer of city streets is home to eight public spaces, 40 performance halls and venues, and more than 28,000 seats for shows. 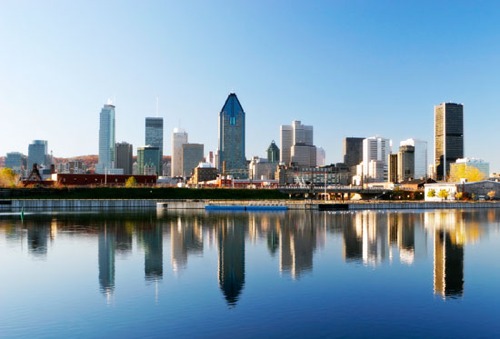 Canada’s second most-populated city, Montreal’s economy was dependent on heavy industry prior to the 1980s and suffered a blow during the recession in that era. Since then, Montreal has pivoted its economy to include ICT, aerospace, life sciences, health tech, and clean tech, together representing 6,250 companies that employ 10 per cent of the city’s workforce. Montreal also has an 81 per cent Internet penetration rate with most of those connections being high speed. There are plans to build out free WiFi access in a 17 square-kilometer area in the centre of the city. There are technology training and collaboration programs in the city, including a digital skills training program for community leaders that’s operated at 85 centers. Montreal’s higher education institutions also get a nod in the ICF award, with the city collectively graduating more students than any other in Canada: 415,000 students earned a degree in Montreal between 1998 and 2008. In addition, the city’s school system registered 160,000 students for e-learning courses in 2011-12, and offers a program to train teachers in using digital technology. Six different “learning labs” focus on sectors such as healthcare, transportation, and urban planning. Montreal may have won the ICF award, but Chitillian says the Smart City plan is only 40 per cent complete. Now they have even more reason to do the rest of the job.